Display your skills at the Wizard Talent Show and win the top prize! 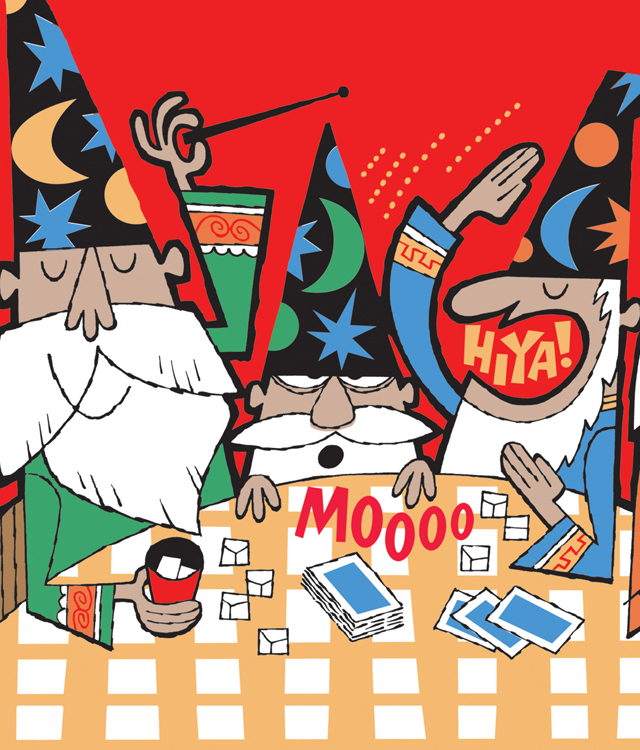 It'll take all of your magical powers (and a little luck) to beat the competition and be the first to cast six spells. Ta-da! is fun, frantic dice rolling action as everyone plays at the same time. Only the fastest wizards will be in the running to become the best! Do you have what it takes?